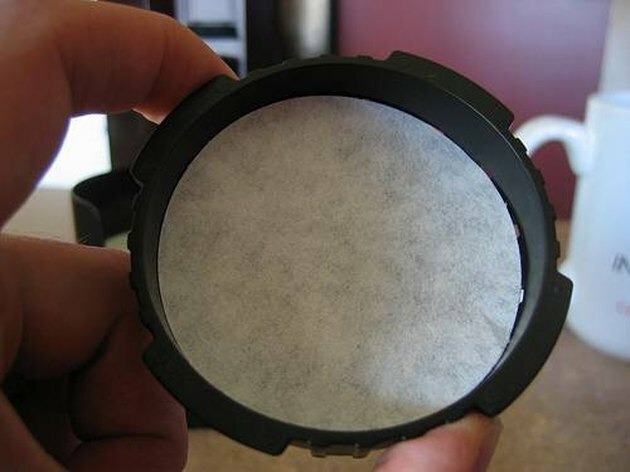 How Does a Coffee Filter Work? Brewed coffee is, very simply, hot water that has soaked in crushed or ground coffee beans long enough to absorb their properties (taste, color and aroma). There is no problem with soaking coffee beans in water, but most of us don't want to chew when we drink our morning coffee. So we have figured out many ways to remove the solids, or leftover coffee grounds, from the liquid coffee, which is the end product that we actually want. A coffee filter can be either disposable or reusable. Disposable coffee filters are made out of paper, which may or may not have been recycled previously. Reusable coffee filters are usually made out of a hard plastic frame and a fine metal mesh. There are different sizes and shapes of coffee filters, which are identified by number. Keep in mind that numbers two and four are very commonly used in the U.S. The filter sits in the basket of the coffee maker, which is usually above the pot or carafe which holds the brewed coffee. 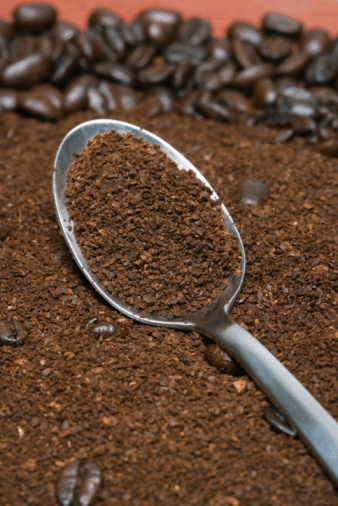 Once the coffee is ground, or ready to be used for brewing, it is scooped into the prepared filter which is sitting in the basket of the coffee maker. The filters are semi-permeable, and they work like very fine strainers would. When you make pasta, you might use a strainer to drain all the water from the cooked pasta. A kitchen strainer for uses, such as draining pasta will have much larger holes than a coffee filter does. In fact, in a paper filter you won't see holes at all. The paper is very fine, yet thick. It is permeable by liquids but will not disintegrate when it is wet, so it holds the solids (the coffee grounds) in and does not allow them to pass through into the coffee pot. Because a coffee filter is permeable by liquids, it releases the liquid into the carafe below. The hot water is usually dripped or poured slowly on top of the coffee grounds in the filter. As the water drains down through the grounds, it takes on the properties of the grounds and becomes brewed liquid coffee. Once it gets to the bottom layer of grounds and reaches the filter, it has the dark brown color and strong aroma we associate with coffee. The openings of the filter, whether visible (as in a metal mesh filter) or not visible to the naked eye (as in a paper filter) allow the water molecules to pass through into the coffee pot below, resulting in fresh, hot brewed coffee free from any solids. How Does a Percolator Coffee Pot Work?